This Roasted Vegetable Lasagna is a vegetarian version of classic Italian lasagna. 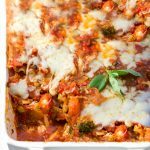 You won’t miss the meat in this scrumptious casserole, packed with roasted carrots, bell peppers, onions and broccoli, and layered with thick rich tomato sauce and three cheeses. Are there any foods you love so much that you eat them until your stomach hurts and you can barely breathe? Lasagna is that for me. 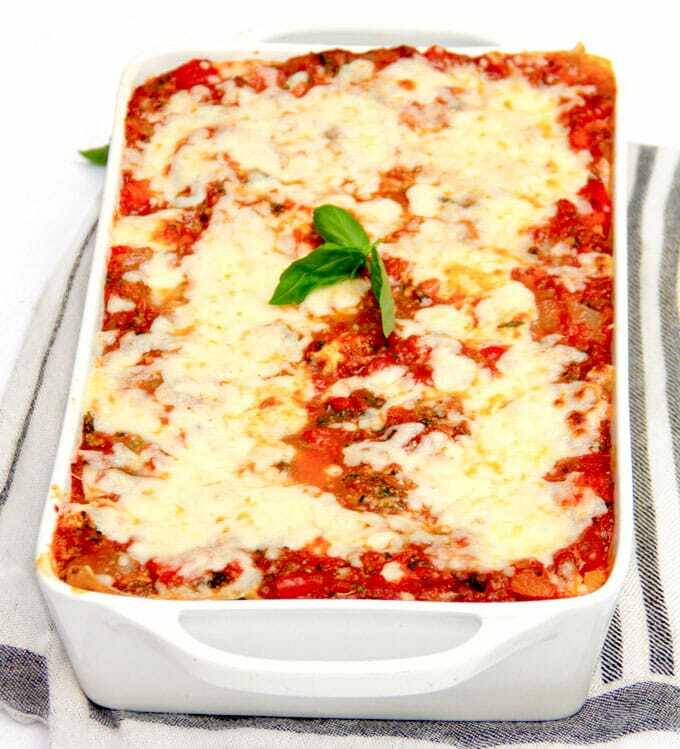 It’s got to be great lasagna – the kind with an excellent tomato sauce and high quality ricotta, mozzarella and parmesan. Once the cheeses melt into the sauce and meld with tender noodles and whatever meats or vegetables are layered in, there’s nothing more comforting, delicious, or irresistible. I’m a huge fan of meaty lasagna but it’s also great to have a lasagna recipe in the repertoire with no meat, maximum veggies, and maximum deliciousness. This is a vegetarian casserole that even the carnivores will love. Roasting is one of the best things you can do to vegetables. When carrots, onions and red peppers are tossed with a little olive oil and salt, and roasted in the oven, the moisture is drawn out and the flavors are intensified. They caramelize around the edges, which brings out out their natural sweetness in a very delicious way that is perfect for vegetable lasagna. Toss chopped carrots, onions and bell peppers with olive oil and salt, and roast until tender and starting to brown. While the veggies are roasting, make the tomato sauce, using good extra virgin olive oil, garlic, and good quality imported Italian tomatoes. 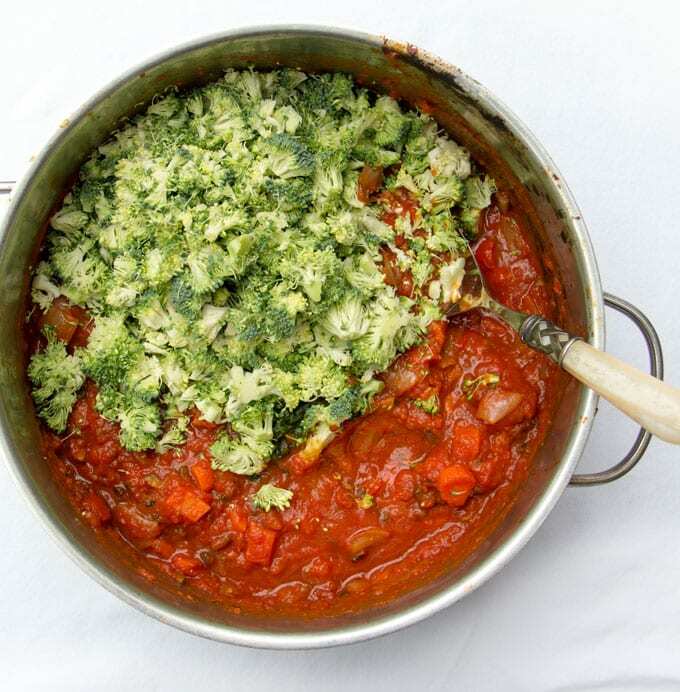 Here’s one of my favorite tricks for adding “meatiness” to a vegetarian tomato sauce – shaved broccoli. Just stir the shaved broccoli into the cooked sauce and assemble the lasagna. Once it’s baked, the broccoli will be perfectly cooked and give the sauce a great, meaty texture. 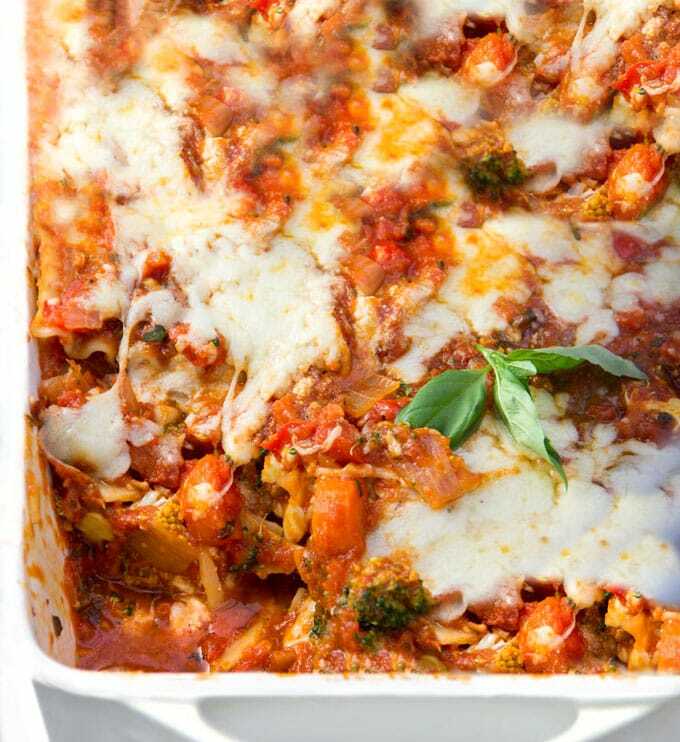 Plus, you get the healthy benefits of adding a superfood to your sauce, infusing your roasted vegetable lasagna with extra protein, fiber and vitamins. When I make lasagna I generally use the old fashioned noodles that you boil. It’s an old habit. But feel free to use no-boil noodles if you prefer. 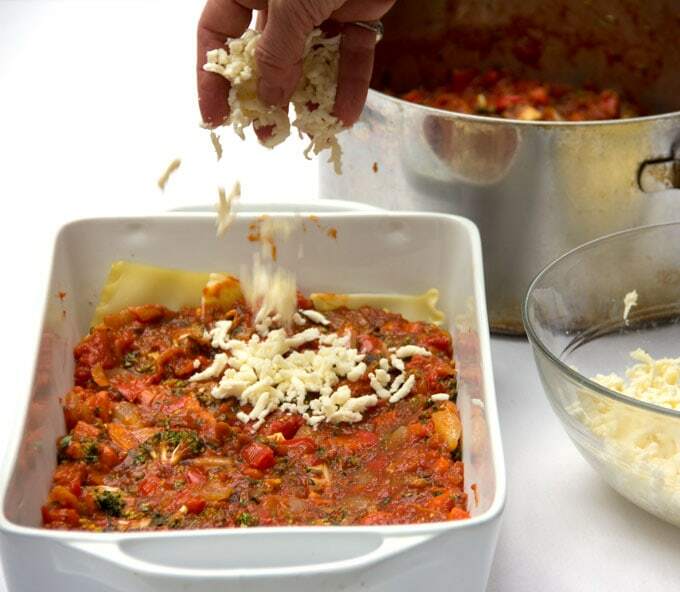 Assemble the lasagna by layering noodles, sauce, cheeses…. Cover with a double layer of foil and bake for 40 minutes. Uncover and bake 15-20 minutes longer until the sauce is bubbling and the cheeses are melted. A healthier and totally delicious recipe for eggplant parm. The eggplant rounds are breaded and baked, and layered with thick rich tomato sauce and cheese, and topped with spinach. This gluten-free vegetarian casserole is a cross between eggplant parm and lasagna but it’s way healthier and so delicious! This is classic meaty lasagna at its best! A festive, architectural redesign of classic comforting eggplant parmesan, only healthier because the eggplant is baked. Tender scallops of boneless chicken coated with crisp breadcrumbs, covered with velvety rich tomato sauce and melted cheese. 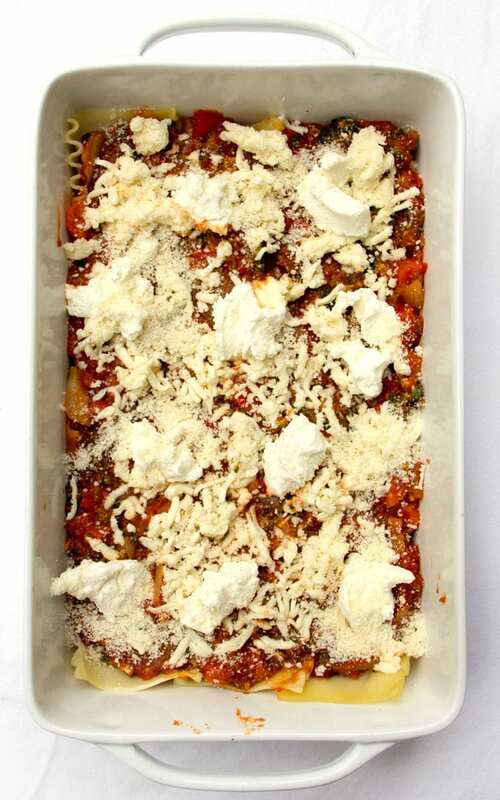 Here’s the recipe for roasted vegetable lasagna. If you make this I hope you’ll come back to leave a comment and let me know how it turned out. This Vegetarian Lasagna is the most delicious classic lasagna minus the meat. It has many layers of delicious flavor, with roasted vegetables and a rich tomato sauce and shaved broccoli to give it a thick, “meaty” texture. 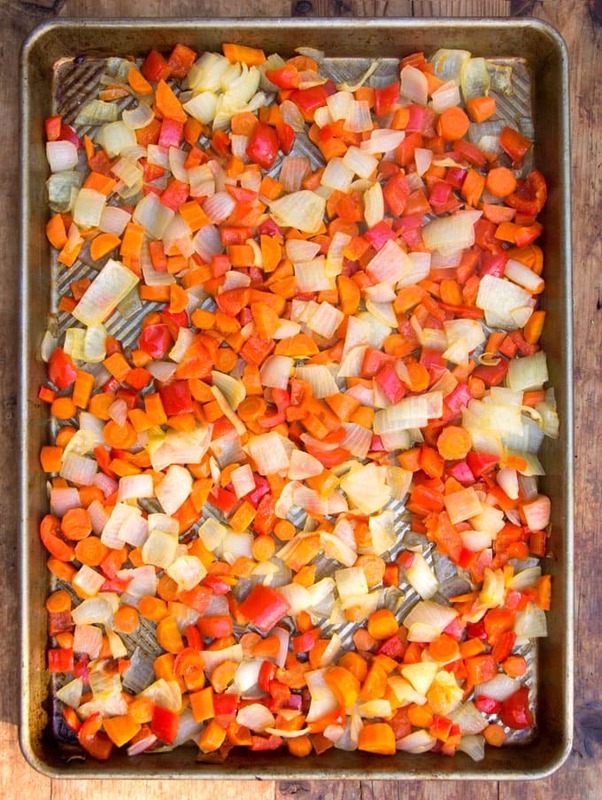 Roast the Vegetables: Preheat oven to 425ºF. 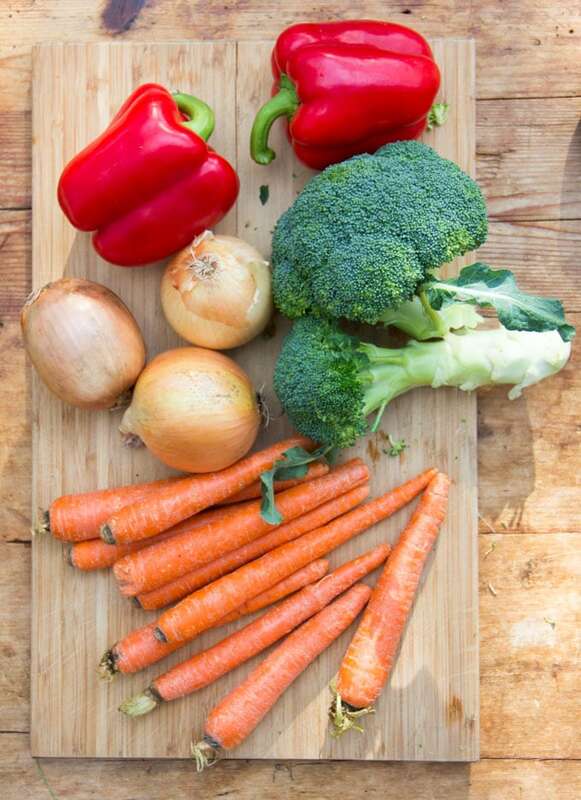 In a large bowl, toss vegetables with 3 tablespoons olive oil and 1 teaspoon salt. Spread out on a rimmed baking sheet and roast in the center of the oven for 30 minutes. Toss and return to the oven for 10-15 minutes longer, or until onions are starting to brown. 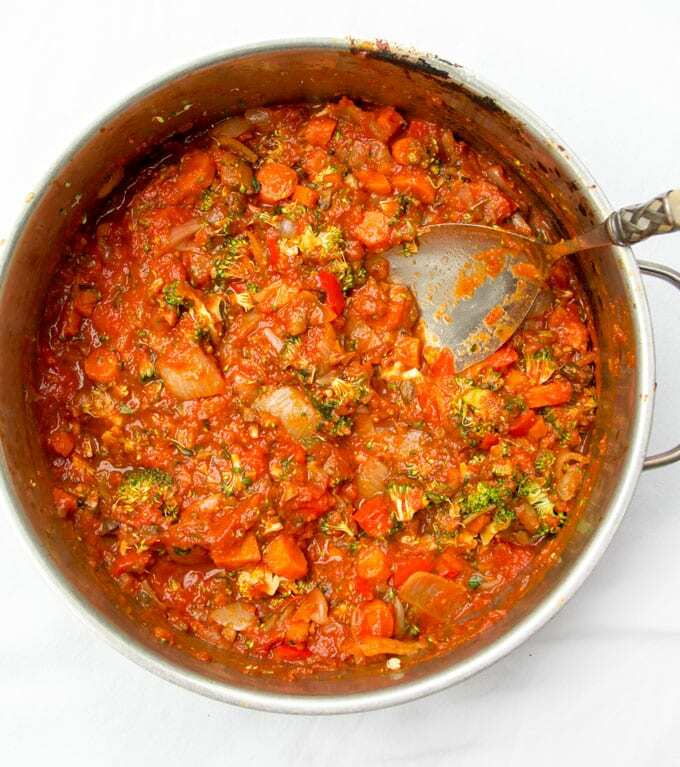 Make the Sauce: While the veggies are roasting, heat 3 tablespoons oil with garlic and red pepper flakes, in a large cooking pot or dutch oven over medium heat. When the garlic starts to sizzle, let it cook, stirring constantly, for 30-45 seconds (don’t let it brown). Pour in the tomatoes, tomato paste, water, basil and 1 teaspoon salt. Bring to simmer and cook, partially covered, for 30 minutes. Puree the sauce with an immersion blender or in a food processor or blender, in batches. Stir in shaved broccoli and roasted veggies. Cook the Noodles: While the sauce is cooking, bring a large pot of water to a boil. Add 1 tablespoon olive oil and 1 teaspoon of salt to the water. Lower the lasagna noodles into the pot one at a time so they’re less likely to stick together. Cook until al dente, per package instructions, stirring often with a wooden spoon to separate noodles. Drain noodles, run some cool water over them, and lay them out on a sheet pan. Cover with a damp dish towel. 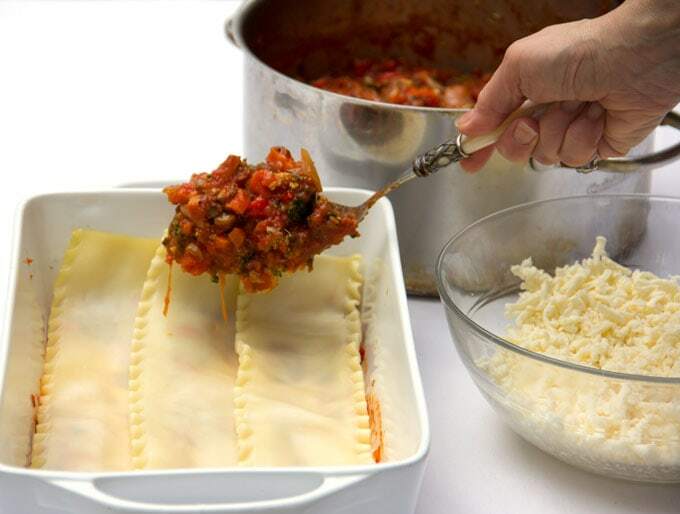 Assemble The Lasagna: Preheat the oven to 375ºF and set the oven rack in the center position. Spread a little sauce over the bottom of the casserole dish. Arrange a layer of 4-5 noodles on top. Cover with ⅓ of the sauce. Sprinkle on ⅓ of the mozzarella. Spoon ½ of the ricotta around evenly, in little blobs. Sprinkle on ⅓ of the parmigiana cheese. Repeat with a second layer of noodles, half the remaining sauce, half the remaining mozzarella, the rest of the ricotta, half of the remaining parmigiana. Add the final layer of noodles, the rest of the sauce, the rest of the mozzarella and parmigiana. Cover the casserole tightly with a double layer of foil but tent it a bit so the foil doesn’t touch the top layer of cheese. Cook for 40 minutes. Remove the foil and cook for 10-15 minutes more, until the sauce is bubbly and the cheese is melted. Let the lasagna rest for 15-20 minutes. Slice and serve. Sprinkle with fresh basil, if you like. Great recipe for lasagna. I will try this at home today. Thanks for sharing. Thanks for another great dinner. The taste of the roasted veggies really came through – loved that it was not uber cheesey. Will do it again – but will spice up the sauce a bit more (more seasoning/hot pepper) – but fine line as I would not want to overpower the veggies. Fun empty nest dinner – as we now have lots left over for lunch all week! Good luck with the storm…. Have ingredients on hand to do some more cooking. This looks incredible!! LOVE all the veggies! What a great recipe!